Abi: "1960s Design, that's my general interest, but I don't really know." Jo: "My mother, but when she was young." 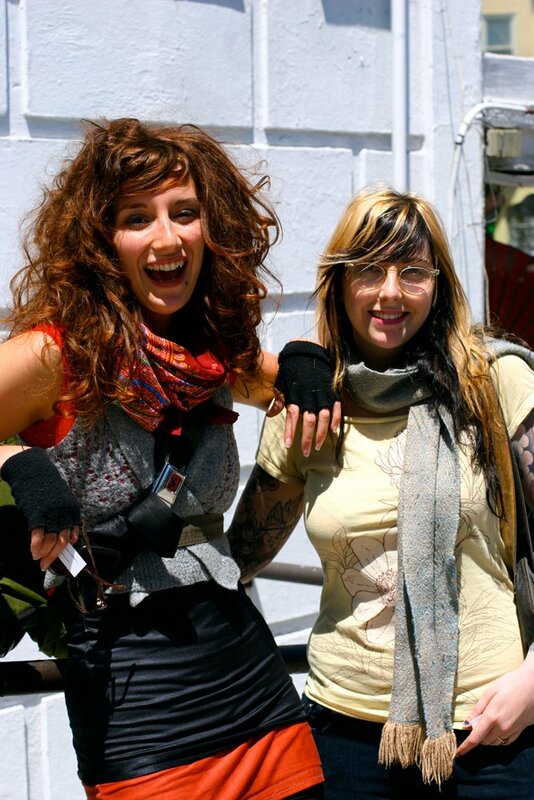 Ah scarves, colorfully layered clothing and colorful shoes: all perfect for the in-between weather of early June in SF. If Abi looks familiar, it's because I've spotted her colorful clothes and great hair before. 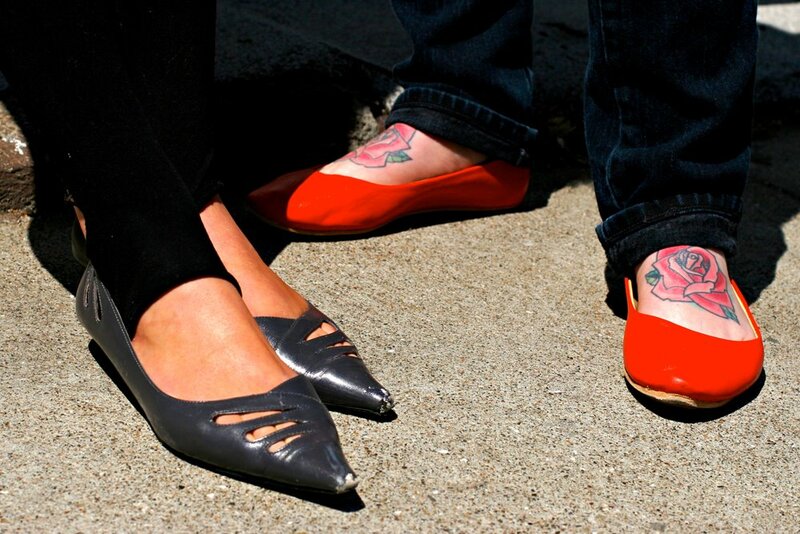 A look at their shoes and Jo's tattoos on her feet. these 2 are adorable and her hair is amazing!